Sacroiliitis describes inflammation of the SI joint that can be caused by various causative mechanisms including soft tissue pathologies, as well as structural injury or degeneration. Sacroiliitis affects the joint itself and is one of the more common justifications for SI joint surgery. 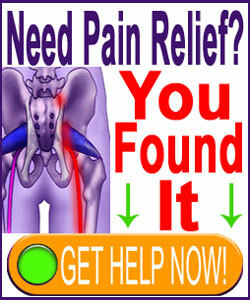 Joint inflammation in the sacroiliac can be painful and lead to further problems, such as hypomobility. However, inflammation can also be a result of hypermobility and overall instability, making diagnosis a complicated process. Worse still, many cases of SIJ inflammation are not even diagnosed, since evidence of the condition is often difficult to detect during general diagnostic evaluation practices. This resource section provides a detailed look at the causes and symptoms of sacroiliac joint inflammation conditions. We provide a series of articles that delve further into various specific forms of sacroiliac joint degeneration so that patients can understand the topic at a deep level and improve their chances for accurate diagnosis and successful therapy. Advanced age and activity-related degenerative changes can contribute to some instances of mostly mild to moderate SI joint pain. Various disease processes can cause extreme SI inflammation, including ankylosing spondylitis, rheumatoid arthritis, colitis, Crohn’s Disease and others. Leg length discrepancies can incite sacroiliac pain problems, as can some postural concerns. Obesity is a major factor in producing dramatically deteriorated SI joints. Multiple pregnancies might contribute to some cases of SIJ degeneration. Injury or fracture can inflame the SI joints, as can degeneration due to a congenital defect in the lower spine or SI joint itself. Spinal fusion is known to produce SI joint inflammation in many patients. Lumbar spondylodesis is proven to increase force on one or both SI joints. Sacroiliac arthritis can refer to many different types of arthritic processes, but if not specified, the term generally describes normal osteoarthritis in the SI joint. Sacroiliac degeneration is normal to experience as we get older. Most degeneration is not painful or pathological in any way. Rheumatoid arthritis in the sacroiliac is a common location for RA to develop. Rheumatoid arthritis is virtually always painful and can be debilitating when it takes a firm hold in the SI joint. Sacroiliac spondylitis, also called an ankylosed sacroiliac joint, can create major pain and functional issues for affected patients. Organic joint fusion is a common consequence. 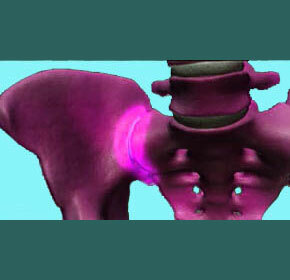 Sacroiliac inflammation is the universal symptom of all cases of sacroiliitis. Inflammation occurs in response to a specific known or unknown causative mechanism which can vary greatly from patient to patient. Of all the SI joint conditions, inflammation and degeneration issues are some of the most difficult to resolve, regardless of cause. Each separate mechanism of action might require very different approaches to care, which places even more pressure on patients to achieve accurate diagnoses. Furthermore, even the best and most indicated methods of care often can do little except minimize symptoms, since some forms of joint deterioration are structurally irreparable and necessitate surgical fixation. To contrast SI arthritis and inflammation conditions against soft-tissue related disorders, please refer to our detailed section covering sacroiliac joint dysfunction.